In Prague this past weekend I had the best hazelnut spread for breakfast. 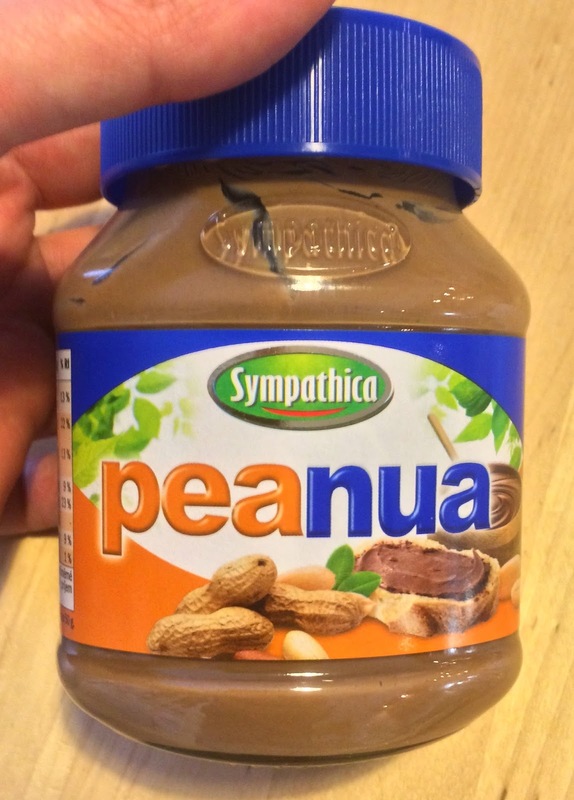 Peanua is a combination of peanut butter and a generic version of Nutella, a chocolate hazelnut spread. Peanut Butter and the chocolatey goodness of Nutella go great together on things like bread and bagels. The beauty of Peanua is that it guarantees that you will get the right proportion of peanut butter to Nutella in every bit. I have been searching online to try to determine if you can purchase Peanua in the UK. From what I have found so far, it appears that it may only be sold in Lidls in the Czech Republic and Poland. It also does not appear to be listed by anyone on eBay or Amazon. Irn Bru is doing their version of Coke's "Share a Coke with" bottles with the names on. 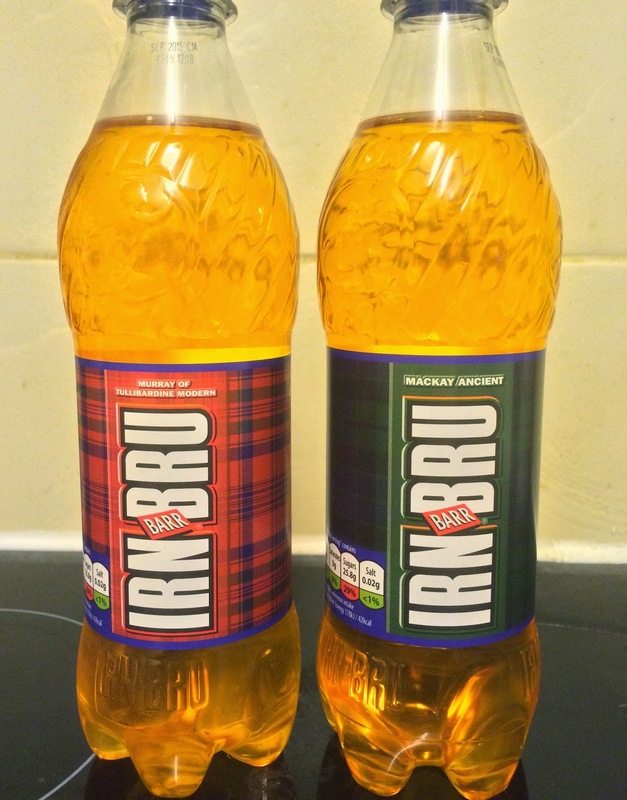 Each bottle of Irn Bru has a different tartan on the label. Similar to how people look for the Coke bottles with their name on, people are supposed to look for the bottles with their family's tartan on. There is a generic Irn-Bru tartan for those of us who aren't Scottish.